BuzzFeed's attempt at an inspiring, empowering video for women falls short, and the target audience is having no problem letting BuzzFeed know it. "Photoshopping Real Women Into Cover Models" opens with four women lamenting that they'd never look like models in a magazine spread. 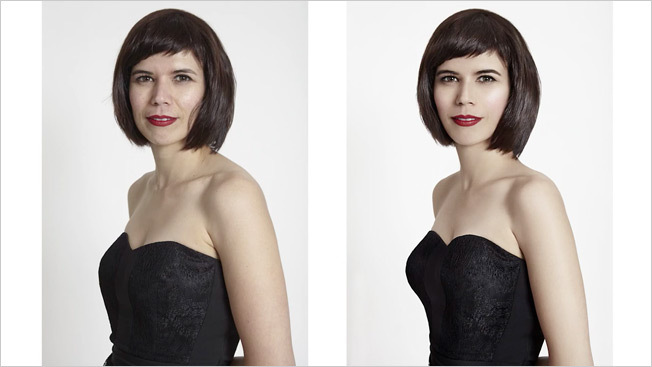 Each woman then participates in a professional photo shoot—hair, makeup, styling and all—and then a Photoshop expert retouches the images to make them look like typical magazine cover models. We watch the women's reactions as they see the photos for the first time. And … all of them dislike the retouched photos of themselves. In light of the wildly popular Dove campaign and the praise Aerie received for promising not to retouch its photos of models, why aren't more people loving this video? Maybe it seems too contrived, and the creators seem too intent on pushing a message to the viewers. The women looked lovely during the photo shoots, and their reactions just don't seem very honest. And while the Photoshop jobs were definitely extreme, the message here is that it's vain for women to even want to look attractive. "Once someone else has done your makeup, and someone else has done your hair, and someone's directed the way your body looks, and then taken away your imperfections … then there's not much left of who you really are," says one of the four women. In that one line, women are reduced simply to the way they look. While some think it's inspirational, others are balking. "Denigrating women for wanting to enhance, improve and better themselves is no better than denigrating women for being fat and ugly," one viewer wrote on Facebook. If Victoria's Secret's ultra-Photoshopped catalogs are one extreme, and BuzzFeed's "You're vain if you enjoy a blowout" video is the other, maybe most women are looking for a happy medium—at the very least, something that doesn't seem disingenuous.